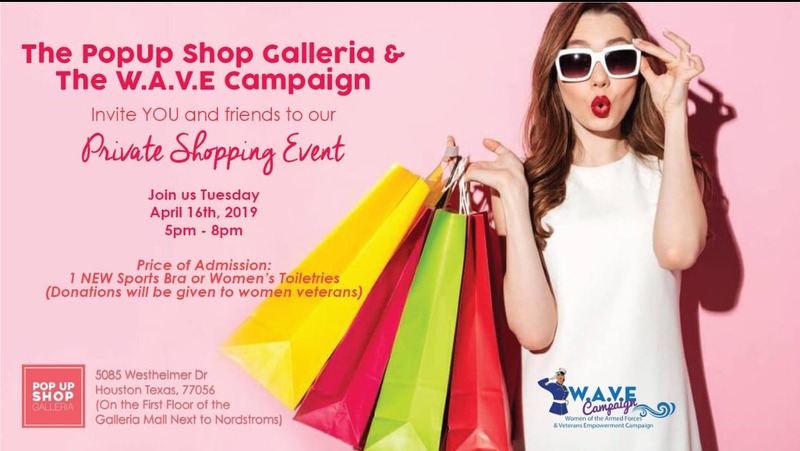 This is a private shopping event hosted by the W.A.V.E. Campaign in partnership with The PopUp Shop Galleria. The PopUp Shop offers select styles and exclusive collections from local businesses and women veterans. Entry fee is a new sports bra or women toiletry item or upon entry $10 will be due. Come out and support us in providing women veterans in the hospital with the supplies they need.